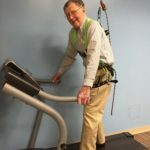 At First Physical Therapy, we utilize the latest methods technologies to aid in your recovery. 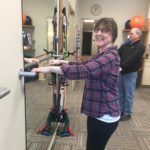 Our expert staff provides personalized, hands-on treatment that is unique to your situation, designed specifically to help you get your life back. 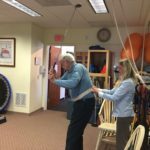 Whether you have back pain keeping you from golf, or have been involved in a serious accident; we create a personalized plan designed for expedient and long-lasting recovery. If you have general pain, conditions like Multiple Sclerosis, injury from sports like sprains or splints, and more - call us and see how we can help. 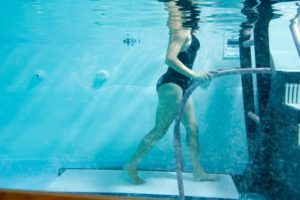 For arthritis, fibromyalgia, back problems and more – can be an effective rehabilitation tool for patients recovering from a wide variety of surgeries and injuries that benefit from the buoyancy and warmth of the water. We offer dry needling! 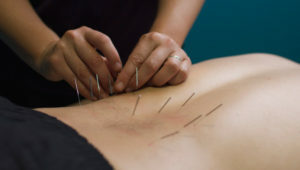 A cutting edge technology, Functional Dry Needling (FDN) is a technique used to decrease pain, relieve muscular tension, and promote healing. Shin splints, sprains, work related industry – whatever your condition may be, we provide the personalized service and spirit to get you well again. 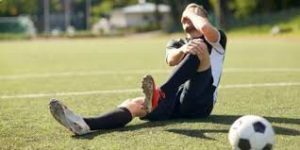 When injuries occur in sports, our team can offer expert management of joint, muscle, bone, and other problems. We can help enhance athletic performance and physical fitness, prevent acute and chronic injuries, and extend athletic careers. We provide a very high level or personalized care. It's our mission to see our patients thrive. 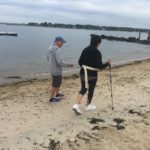 Grace has MS and wears a leg brace – here, we went to the beach to build her confidence to get from the boat to the beach.